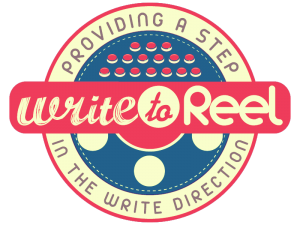 Write to Reals – Dead Girl 2006: Reals’ First Produced Female Script Review! First, I want to say that it is great to read the work of a female writer, as this is, unfortunately, a rarity with most of my reviews. And Karen Moncrieff (who I wasn’t aware of before this review) is not just a screenwriter, but also a successful director and actress. Secondly, I want to talk about what drew me to this story and that was the logline: The clues to a young woman’s death come together as the lives of seemingly unrelated people begin to intersect. You see, I recently watched The World of Kanako (2014) which was about A former detective named Akikazu searches for his missing daughter, Kanako, and soon learns she has a mysterious secret life. This is a film I enjoyed, but holy crap was it one of the darkest, most nihilistic films I have seen in a long time. If you are going to watch it, be prepared for an unrelenting assault on optimism (which, actually, should have been the tagline ). Once I saw the trailer for the John Cho film Searching (2018), I immediately thought it was a new take/reimagining of the film Kanako (though, if it is, they will almost certainly have to cut portions that I doubt would be allowed into an American wide-release feature). Which brings me to Deadgirl (2006). This film follows a similar plot, but, interestingly, was both written and directed by a female filmmaker. I wanted to see what a female voice and perspective would bring to a tale like this, so I decided to give this script a look! Know your theme! What is your story really about? Is it about loss? About hope? About something else entirely? It always helps to have a clear theme in mind before you start writing or even outlining, even if the theme starts to change as you discover your story. Pacing is key! This script meandered all over the place and felt very disjointed and slow, even at only 93 pages. If you want to do an ensemble film, that is fine, but it is a very thin line you have to walk and you want to be sure that your film/story is moving along (this one was not) and that there is a through-line or a character that the audience can follow and root for or at least care about. Previous articleBrittle Innings (Unproduced) – Brittle Spirit. Next articleGhost Stories – Anthologies, Twists, and…A new Human/Chicken Hybrid?